Whether it is about complete renovation or a small home improvement work, the purpose is always dual – enhance the look of the property and uplift the value of the same. Though a number of artificial and low-cost materials are out there in the market, the way natural stones transform the look of your house is simply unmatchable. 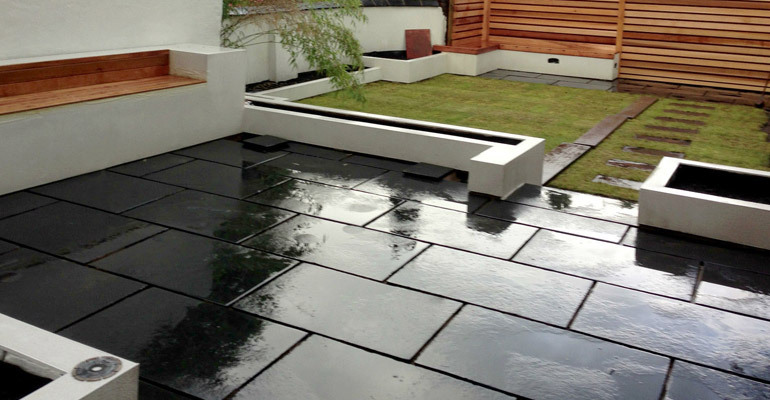 natural stone is strong, long-lasting and is resistant to extreme weather conditions and temperatures. In addition to these amazing features, they are naturally beautiful and occur in a variety of shades and designs in the forms of streaks, waves, patches and swirls. India is a world leader in manufacturing and export of almost all types of high-quality natural stone products including marble, granite, sandstone, limestone, and slate. In case you need any of these stones at competitive prices, you can contact a leading manufacturer and exporter of natural stones from India that has an excellent track record of delivering quality stone products in various countries on time. 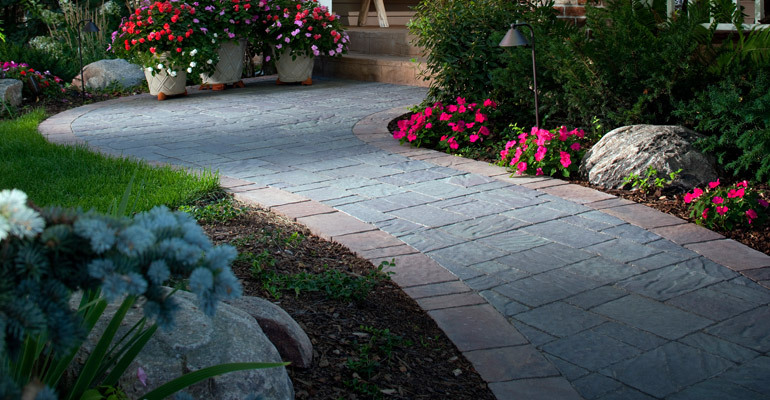 Broad Stone Walkways leading to the Entrance: Slightly broad walkways in varying designs and colors can make the front of the house look more elegant. Limestone Installations: Though limestone is pretty expensive when compared to other materials, the value it adds to the exteriors can’t be compensated by other stuffs. Limestone pavers can be used for an array of applications, such as walkways, pathways, steps, patio flooring, crown moldings and windowsills. 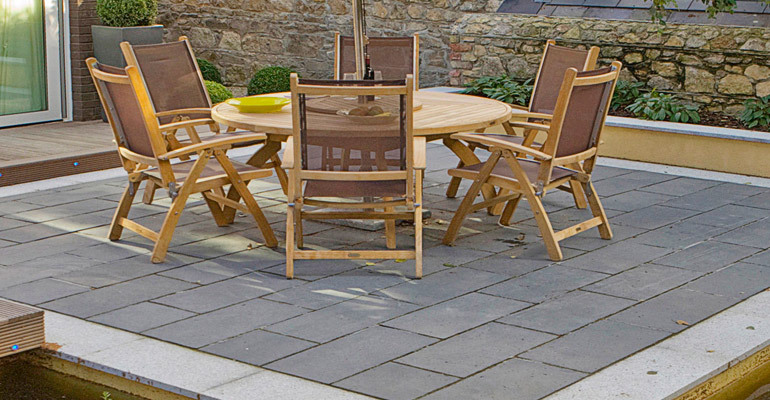 Stone Pavers in Backyard Patio: Natural stones like sandstone are very durable, slip resistance and can withstand rough weather conditions. With all such properties and in naturally mesmerizing shades, natural stones are certainly the best material to be laid in the backyard. A Short Stone Wall: For projects with budget constraint, building a short stone wall around both the sides of the backside patio is a good idea. This creates a wonderful space with a relaxing and welcoming ambience, and transforms the look of the backyard in an exclusive way. During home renovation, spaces that capture your attention the most are kitchens and bathrooms and these are the areas, where maximum changes occur in terms of addition or replacement. Experts say that choosing the right material for home improvement not just alter the looks of your interiors, but can significantly increase the value of your property. Expand Your Budget A Little for Better Returns: Cost is a major factor, which discourage most buyers to go for natural stones. These buyers eventually end up using just ceramic tiles for kitchen or bathroom. However, if we consider the exact area that needs improvement in square foot, the difference in the cost of using natural stones instead of ceramic tiles would be just of a few hundred dollars, which in practical terms is almost negligible when compared to the total renovation cost. Moreover, the rise in the value of the property after stone-based renovation is certainly going to be way more than just a few hundred dollars. 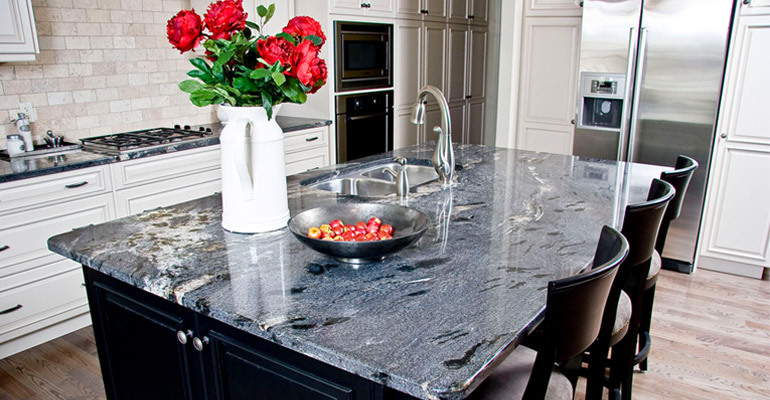 Never Skip Granite or Marble: Both of these stones are very strong and durable, and with proper sealing and maintenance can last for decades after their installation. Marble in white to grey shades with eye-pleasing wavy and veining patterns are very popular. It can be used on walls surrounding bathtub and shower in bathrooms. In kitchens, it looks great on backsplashes. 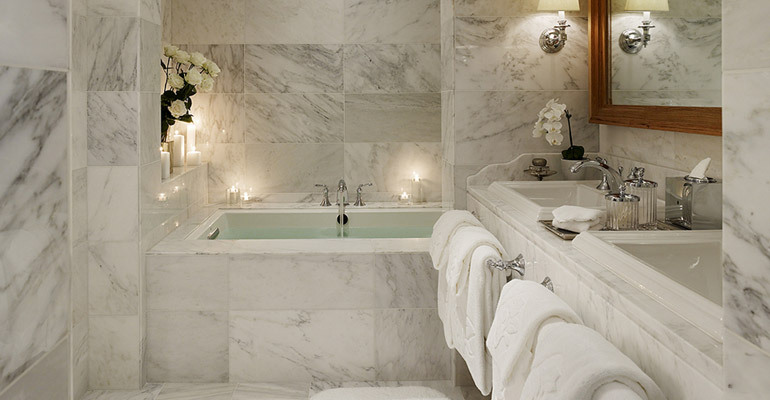 The large slabs of marble can also be used to cover walls in many places inside the house. Granite has gained immense popularity in recent years and owing to its enticing shades, streaky patterns as well as tough physical nature, it is now regarded as one of the most preferred natural stones for kitchen applications. It is costly, but has the power to dramatically transform any corner of the home in the most stylish way. Shapes, Patterns and Finishes: All these play a pivotal role in uplifting the looks of the natural stone. For example, hexagon/honeycomb shapes, herringbone and basket weave are highly popular floor tile shapes in bathrooms. Likewise, for countertops, polished and honed finishes are the most preferred ones as they look very amazing and enhance the functionality of the stone. It is also suggested that you choose the right shade of stone, so as to complement the décor of the space of the stone installation exactly the way you want. Upgrading your home with natural stones can be a bit expensive for the moment, but the elegance, charm and natural grace that they add to your property is seemingly impossible with any other material. On top of this, the boost in the value of your home is going to be so rewarding that it would definitely make you pat your own back for choosing natural stone(s) as a renovation material.